You know what? 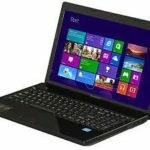 TigerDirect now promotes the Lenovo G580 59344054 15.6-Inch Notebook PC w/ i5-3210M 2.5GHz, 4GB DDR3, 500GB HDD, DVDRW, Windows 8 for only $419.99 after $50 rebate, shipping is free. 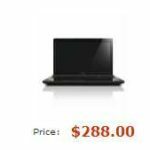 This is the lowest price we can find for this Lenovo laptop, we save at least $100 compared to other reputable merchant, so I have enough reason to believe it's a solid deal. 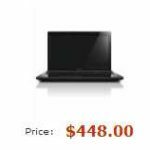 You'll enjoy top-of-the-line performance, mobility, and efficiency at a great value with the Lenovo 59344054, it sports a 3rd generation Intel Core i5-3210M processor, 4GB of DDR3 memory, 500GB hard drive, and a DVDRW optical drive. 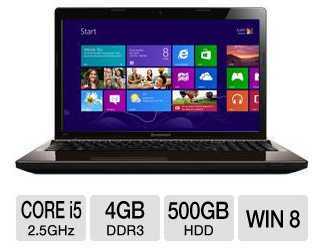 It runs on Windows 8 64-bit operating system, which makes it a better laptop. 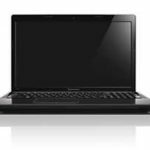 The laptop can handle your daily tasks very smoothly, I believe you'll be fond of it too. 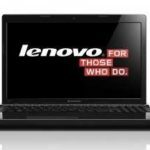 If you are looking for a perfect business laptop with perfect price, I think you've found it, the Lenovo G580 59344054 is the answer now. What do you say? 12/25/2012 Updated: Fry's now has this laptop for only $398.